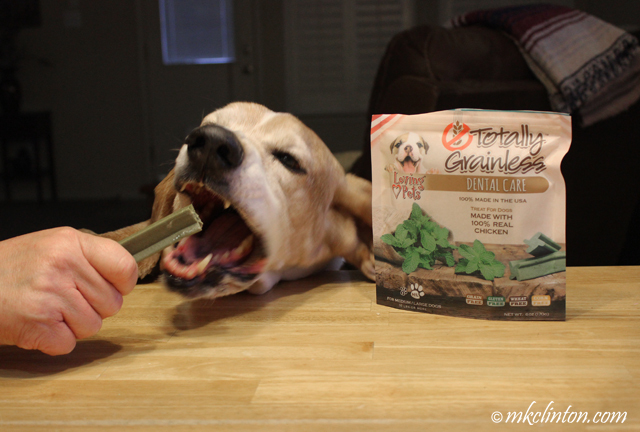 Barking from the Bayou received Loving Pets Totally Grainless treats in exchange for an honest review. We only share products that we love and believe our readers will enjoy. Loving Pets and Propel Communications are not responsible for the contents of this article. 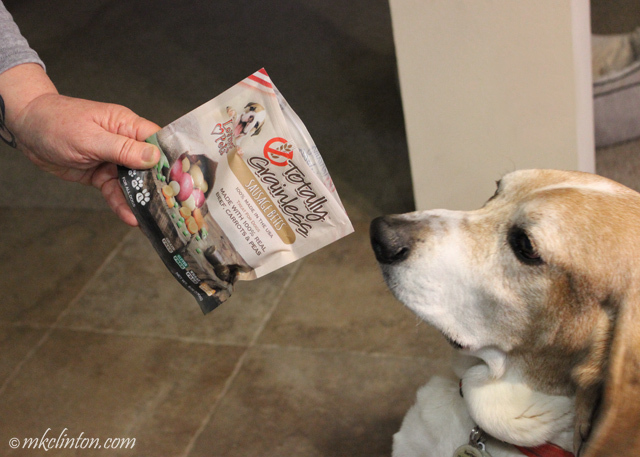 The Bayou Boys are huge fans of the Loving Pets® company. They drink their water from a beautiful purple LeBōl bowl and love all the treats they’ve ever sunk their canines into. 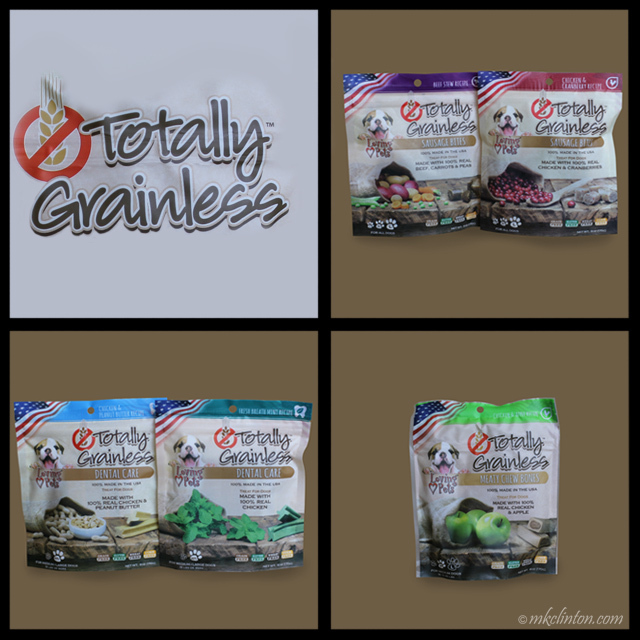 That is why they were super excited when our new box of Loving Pets Totally Grainless™ goodies arrived for their review. 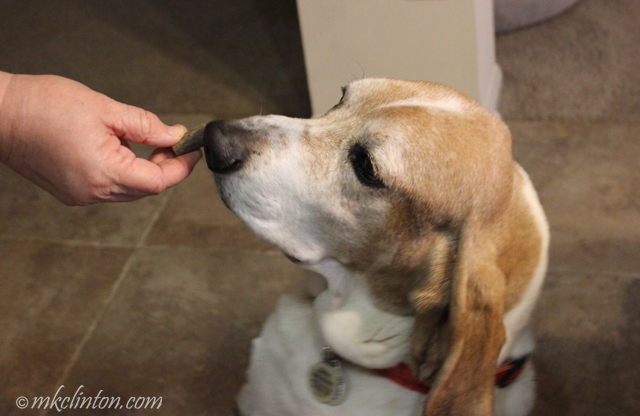 Bentley Basset Hound: We received a smorgasbord of delicious treats and all of them are calling my name. Let’s check out our first bag. Oh, Totally Grainless Sausage Bites come in two scrumptious flavors, Chicken & Cranberry Recipe and their Beef Stew Recipe. I’m sniffing the Beef Stew and can hardly wait for a sample. As you can tell I'm mature enough to wait until Mom offers me one." Pierre: “Let’s turn our attention to these yummy Totally Grainless Meaty Chew Bones. They are made with real chicken and apples for a healthy treat. I love the taste and texture. Loving Pets doesn’t add wheat, gluten, grain, or corn to any of these products. They are also proudly made here in the U.S.A. I think you can tell by this photo that I am the professional in the family. Notice how I hold Mom’s hand steady so she doesn’t blur the photo? It took me years to train her not to move." Bentley: “Okay, let me explain this photo. I was prepared to remain calm and posed like a pro but then Mom brought out the Totally Grainless Dental Care treats. No dog can be expected to stay calm when faced with a 100% Real Chicken and Peanut Butter dental chew. Believe me, they are wooftastic! 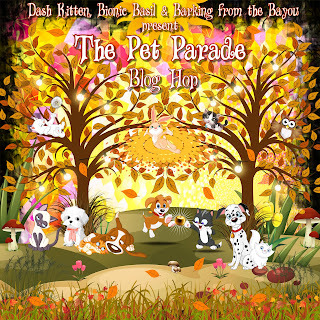 Join Dash Kitten, Bionic Basil and me for a fun-filled blog hop that will take you around the world. Just select your favorite blog or social media post and link up! 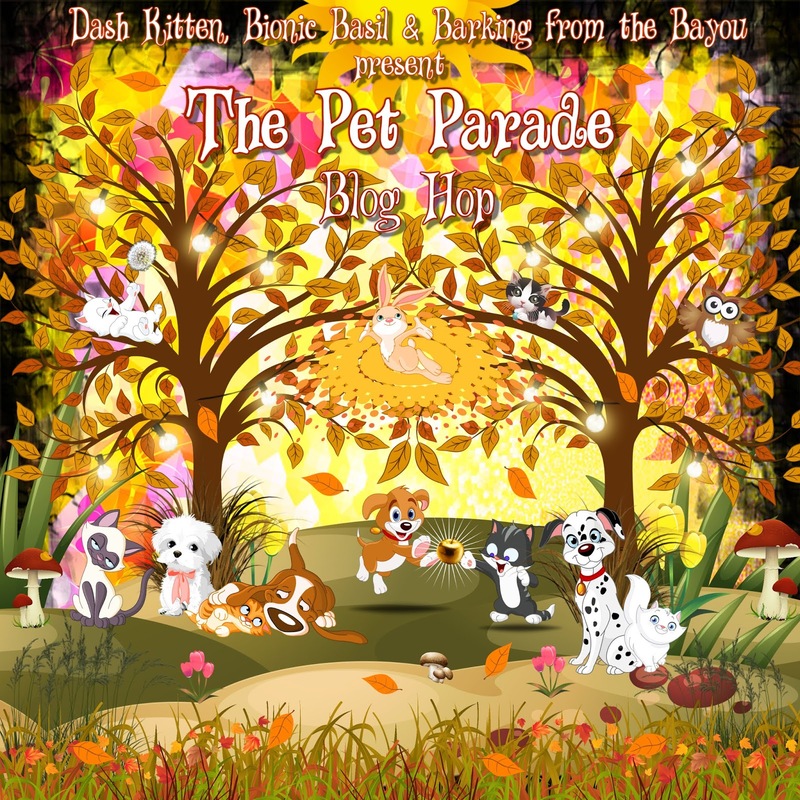 You can hop on board any day and remember a new Pet Parade begins each Wednesday. Everyone is welcome whether you are a cat, dog, bird, horse or rat! We look forward to seeing you. Thanks so much! Those sound good. I know Bailie would like them, but me being the food snob, you just never know. Enjoy, and always be gentle with a mom's fingers. 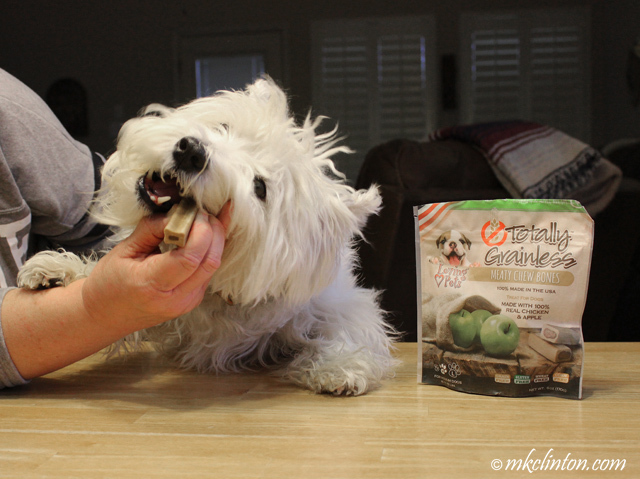 I can see that you are both seasoned pros when it comes to treats and how to pose with them! MOL But hat really matters is how they taste, and whats in them. No grain is a real WINNER in my book, plus they clearly have all the taste too. No if only they did mouse flavour! They look so yummy! We are off to check out their website! I bet those were extra yummy! We feel no remorse is our motto too. The last photo says it all! Now there are some happy dogs! You have convinced us that these must be really yummy! Oh my! I'll bet you don't even know you're getting your teeth brushed with flavors like those.